Latest job opportunities at Stresert Services Limited, a professional services organisation. See the requirements and procedure to apply for Stresert Services Limited jobs online. Actively engaged and assisting in providing Corporate & Commercial advisory services including negotiation and contract management, client management etc. The practice focus will be Capital Markets; Intellectual Property; Start Ups and Technology law. LLB, BL (LLM is an advantage but not required). Minimum of 5 – 8 years’ post qualification active experience in corporate commercial engagements, capable of drafting and negotiating complex commercial agreements. The hired applicants will accomplish Sales/Business Development activities by implementing sales plans; make sales, close sales deals as well as find and sign on new retail customers, serve existing customers professionally and ensure they are retained, meet sales target and increase the business bottom line. The Ideal candidate, preferably a female should be resident in the immediate environment (e.g. Onyingbo, Yaba, Ebute-metta, Bariga etc) and MUST have a minimum of one (1) year Sales experience in consumable goods. Must have one year sale experience. OND in Marketing /a very smart senior school certificate (SSCE) holder. N30, 000 – N40, 000/m (depending on experience). The objective of the role is to operate the depot machine in line with Standard Operating Procedures. Educational Requirement-The ideal candidate should have at least OND in any Engineering course. Experience – At least 4 years experience operating heavy duty machines. How to Apply for Stresert Services Limited Jobs. Apply for the post of Associate (Finance/Capital Market) at Stresert Services Limited. Apply Before: 12th May, 2019. 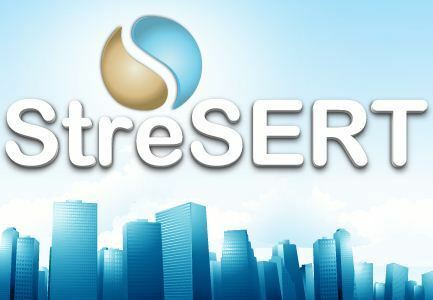 Apply for the post of Sales Officer (Whole/Retail Sales Trading) at Stresert Services Limited. Apply Before: 5th May, 2019. Interested and qualified candidates should send their CV’s to: recruitment@stresertservices.com using ‘SOD_area of resident’ as subject of mail. E.g. ‘SOD_Yaba’ or ‘SOD_Onyigbo’ based on the applicant’s area. Note: Only experienced and qualified candidates will be invited for interviews. Apply for the post of Heavy Duty Machine (Tractors, Forklift etc) Operator at Stresert Services Limited. Apply Before: 27th April, 2019. Interested and qualified candidates should forward their CV to: outsourcing@stresert.com using ‘HDMO’ as the subject of the application.